Deep pink summer flowers with dark-maroon veins and centres and deeply lobed, grey-green leaves. 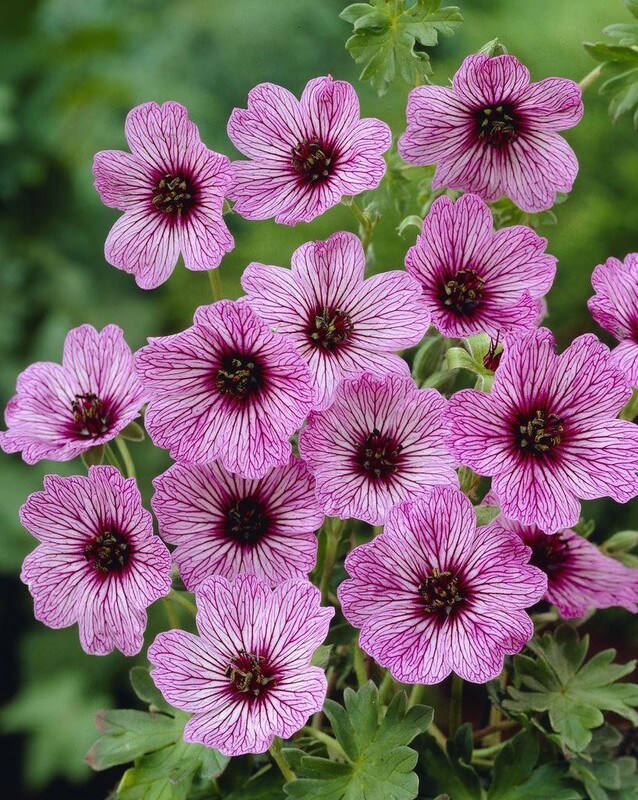 This dwarf form of hardy geranium is particularly suitable for a rock garden. 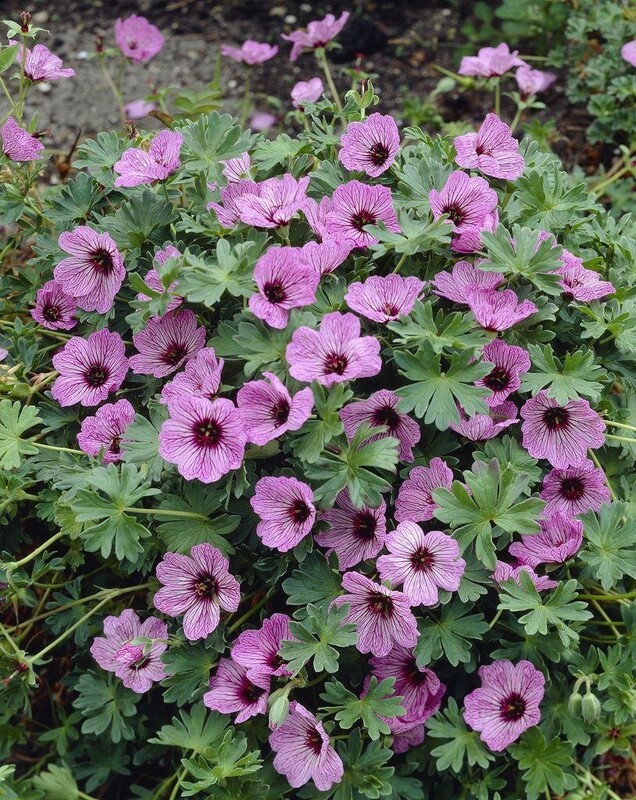 As long as it is given good drainage it will produce a mass of attractively veined pink flowers from late spring to early summer. Supplied in approx 2 litre containers.